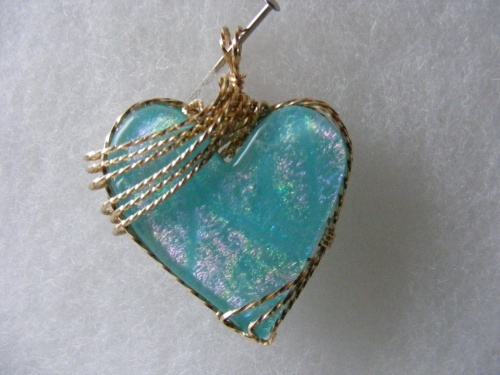 This wire wrapped heart is a beautiful turquoise color with hues of pinks and greens and multi colors. Piece measures Wrapped in gold filled swoops. This piece is sure to win your heart. Measures 1 3/4". Pendant only.